McCue Crafted Fit is proud to have worked with a number of Hotels that have featured in the recently announced Hoteliers’ Hotels UK Top 100 list for 2018. The illustrious list, compiled by the UK’s leading hoteliers and verified by some of the nation’s pre-eminent hotel experts, was revealed at a glittering reception in London last month. McCue is thrilled that the list features ten hotels which they have previously worked on – an acknowledgement of the high standard and extensive capabilities of the company. Making its entry into the Top 100 is the stunning Four Seasons Hotel at Ten Trinity Square. McCue fitted out the public areas of the five-star, iconic Grade II listed building in the heart of London in 2017. Maintaining their positions in the Top 10 are The Connaught Hotel in London which ranked fourth overall, with Claridges Hotel in London following closely behind at fifth and Lime Wood, Lyndhurst coming in at sixth. The Berkeley Hotel which awarded McCue the contracts for the considerable restoration of The Blue Bar, The Collins Room, the state-of-the-art Opus suite, Michelin starred, Marcus Restaurant and more recently The Grand Pavilion Suite, featured fourteenth in the list. The Corinthia Hotel in London moved significantly up the list from 69th last year, to this year’s 29th. This was a project that saw McCue strip out and convert 22 rooms into 11 luxury suites over six floors in the hotel. 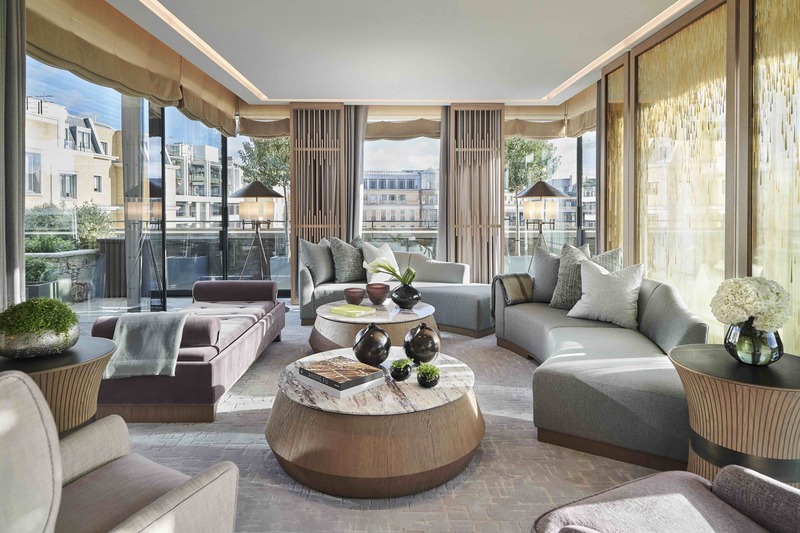 The Shangri-La at The Shard, as well as the outstanding Langham, Savoy and Beaumont Hotels, all in London, were also named in the exclusive Top 100 List. Whilst McCue has always said they work with the UK’s most prestigious clients, it has now been confirmed. We look forward to working with more fantastic clients in the year ahead. To find out more about this year’s Top 100 hotels, click here.